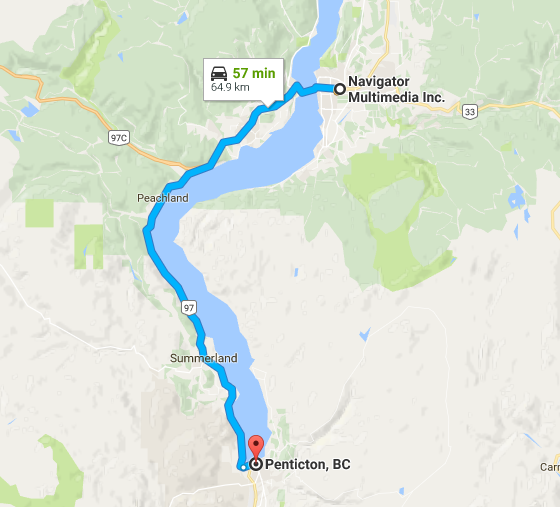 Penticton Website Design - Navigator Multimedia Inc. When looking for Penticton website design or other digital services you might be considering an agency from Vancouver or even beyond Canada. While website design and other digital services can be completed remotely, nothing beats an in-person meeting to plan the project objectives or discuss design revisions. The ability to meet on-demand with the majority of our clients has allowed us to grow strong relationships and have a deeper understanding of each business needs. We have flown throughout BC and Alberta for client meetings and introductions. Within the Okanagan Valley, we know it’s worth the commute to meet with our clients when it’s important. The businesses listed below are located in Penticton, BC, one hour south of our office in Kelowna. Website design can be a bit of a tricky process when multiple stakeholders are involved with different interests. Custom design should be intuitive, so all website visitors can navigate to get the right information they’re looking for. It must have high-quality photography, while still loading in under 3 seconds. It has to stand out from the competition while meeting the marketing objectives. The style guide must be on brand and most importantly, the website design must be on budget. The website design process is typically one part of a development project. It is important that the expectation of project milestones are set at the very beginning, and that any change in project scope (and this happens a lot) is accounted for in budget and timeline. We have a dedicated project manager assigned to every website design project, which allows our team to collaborate while maintaining controlled communication between our team and the client. New business introductions and project launch meetings are commonly done in-person at our office in Kelowna (or in Penticton!) to establish roles in the relationship. Contact us so we can introduce each other and begin growing your business online.